It's Hip 2 Serve! 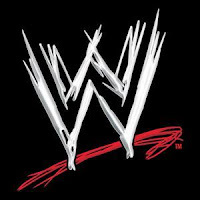 : World Wrestling Entertainment Offers FREE Tickets to U.S. Military!! World Wrestling Entertainment Offers FREE Tickets to U.S. Military!! World Wrestling Entertainment (WWE) is offering all U.S. military personnel FREE tickets to its live events in the U.S. as another way for the company to show its gratitude for their service to their country. Effective immediately, U.S. military personnel from the Army, Navy, Marines, Air Force, Coast Guard and National Guard can claim a free ticket to any WWE RAW or SmackDown live event in their local area (U.S. only) – excluding WrestleMania -- by going to their local arena box office with a military ID the day of the WWE live event. Tickets are available the day of the event while supplies last.